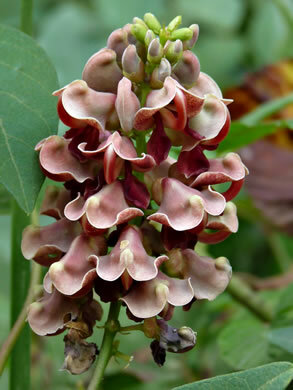 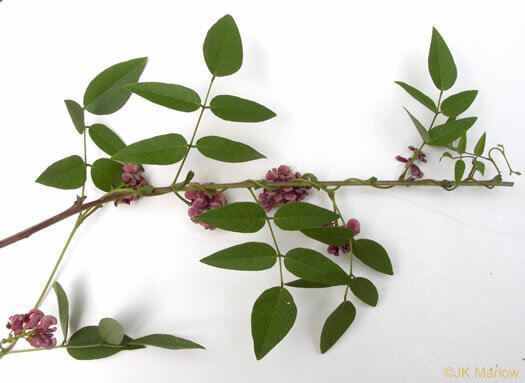 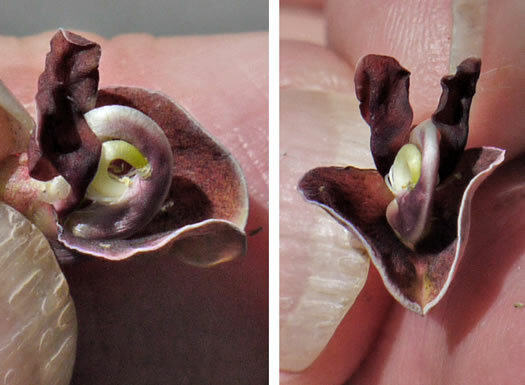 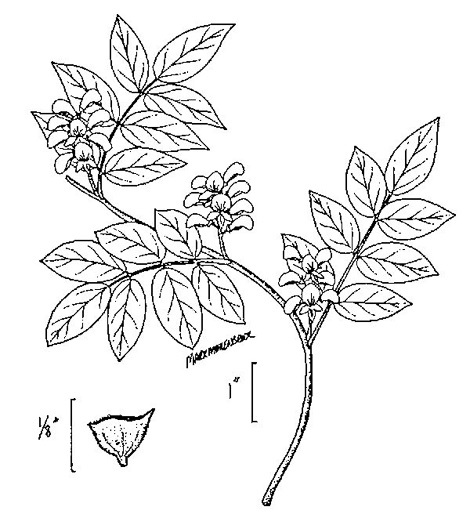 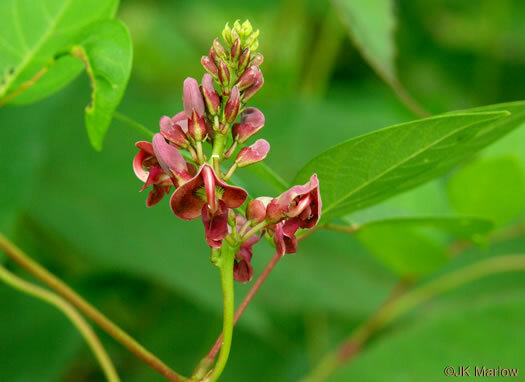 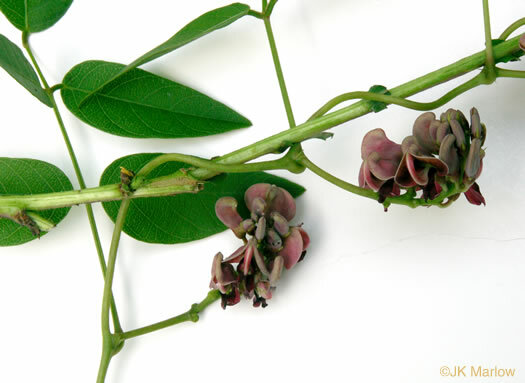 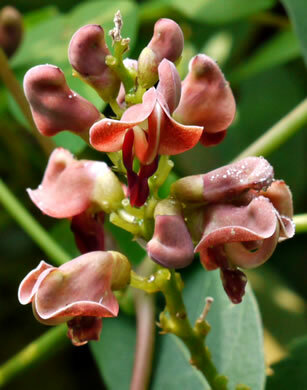 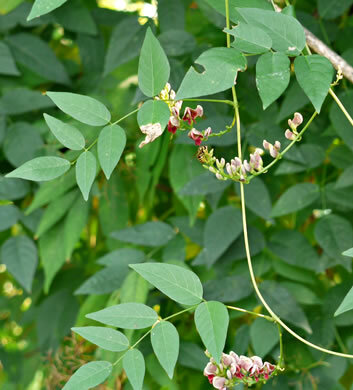 Sweetly fragrant brown-purple flowers arise in racemes from leaf axils, per Wildflowers of Tennessee. 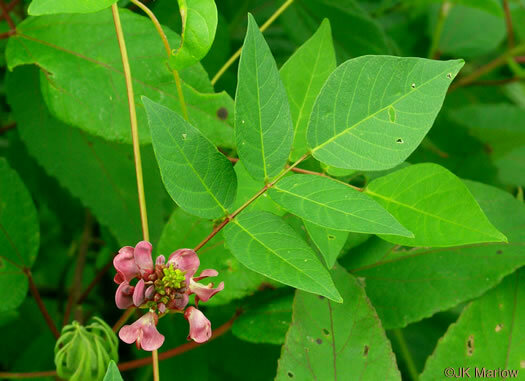 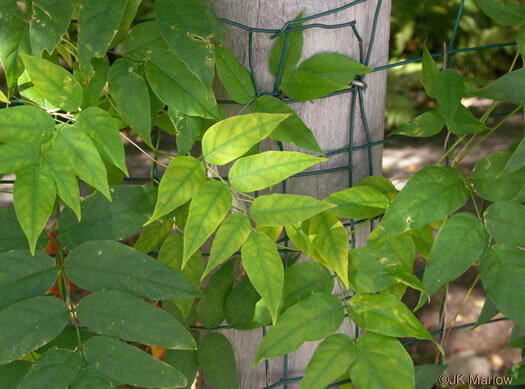 Leaves pinnately compound with 5-7 ovate-lanceolate leaflets, per Wildflowers of Tennessee, the Ohio Valley, and the Southern Appalachians. 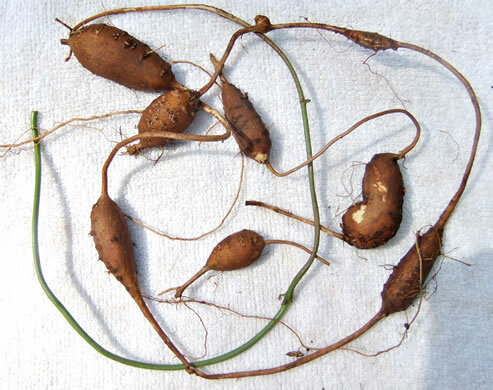 Roots with numerous enlargements [tubers], per Guide to the Wildflowers of SC. 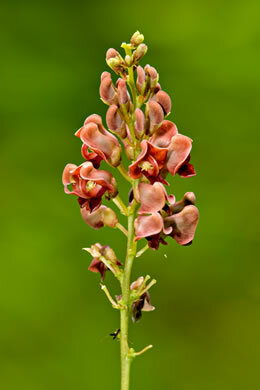 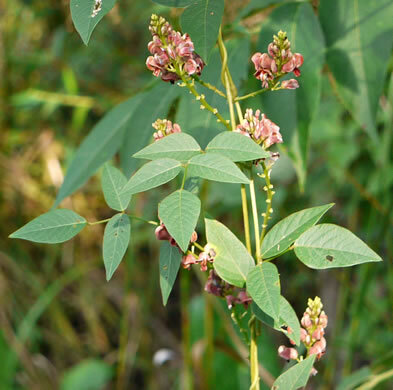 Native Americans used the root tubers as a staple food source, per Guide to the Wildflowers of SC. 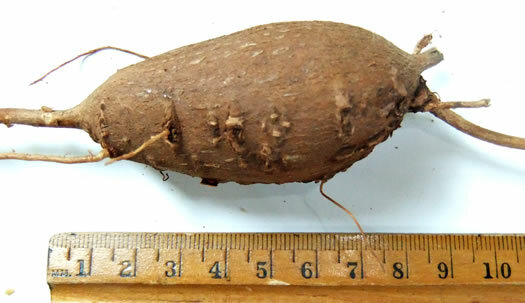 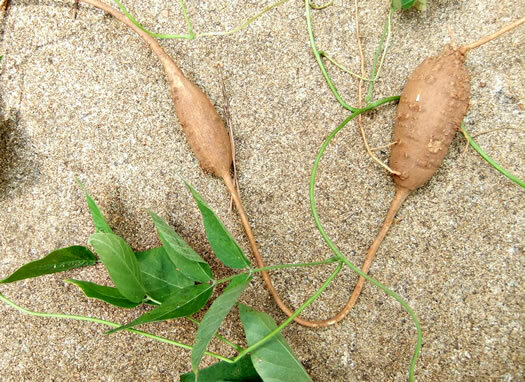 Tubers can be used in soups and stews, or fried like potatoes, per Guide to the Wildflowers of SC. 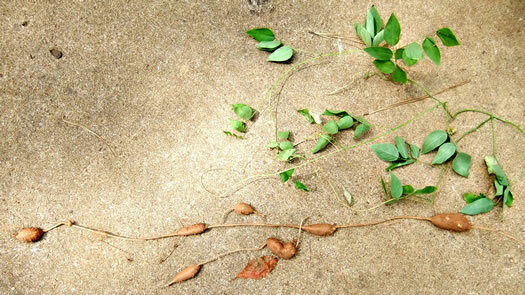 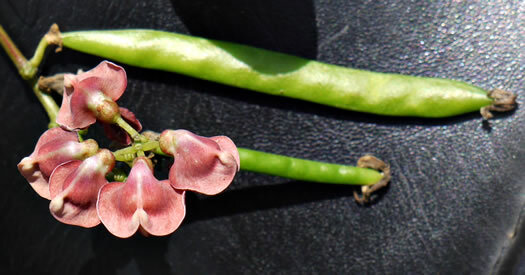 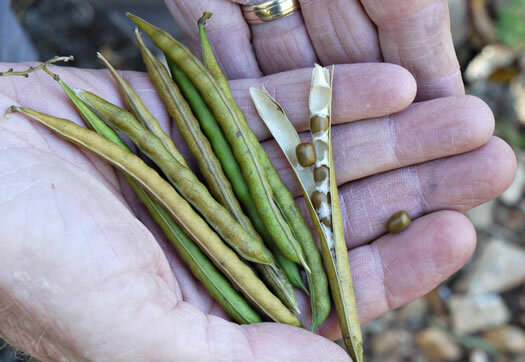 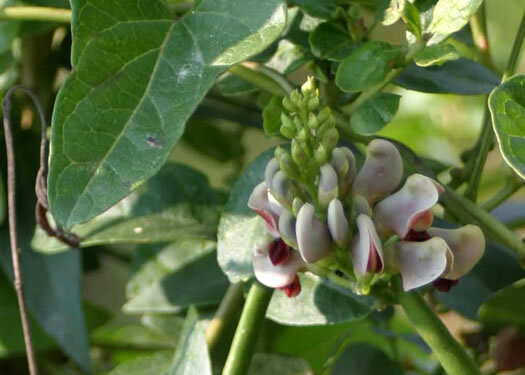 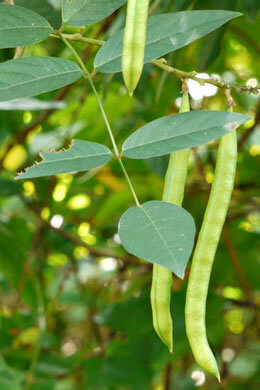 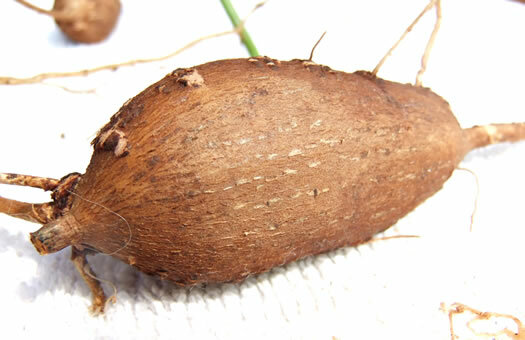 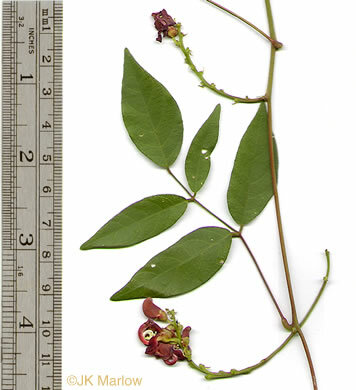 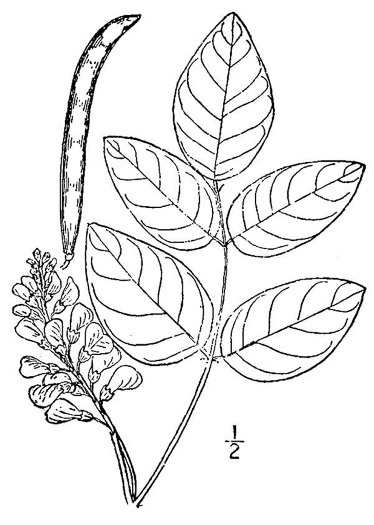 Fruit: Many-seeded linear legumes, 2-4" long, about 0.25" wide, per Wildflowers of Tennessee, the Ohio Valley, and the Southern Appalachians.